This event was captured in extreme ultraviolet light by NASA’s Solar Dynamics Observatory spacecraft . Some of the material blew out into space and other portions fell back to the surface. Using a cadence of a frame taken every 24 seconds, the sense of motion is, by all appearances, seamless. 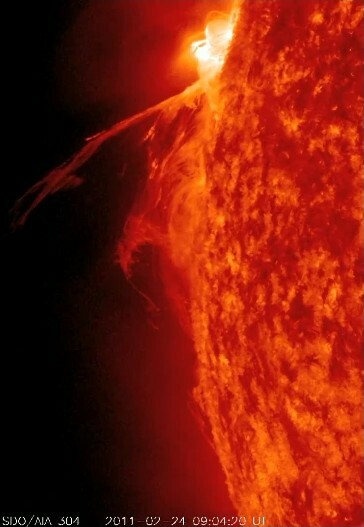 Sit back and enjoy the jaw-dropping solar show. Per usual, this video is also best enjoyed full screen.